Christians in Cuba used to face constant pressure from the authorities for being thought “anti-revolutionaries”. It was said that being Christian was a “disease”. They were prohibited from attending university and refused access to certain fields – such as politics, psychology, sociology and medicine. Many were arrested, detained, forced to do hard labour or even killed because of their faith. However, after constitutional reforms in 1992 and the global decline of socialism, life for Christians in Cuba started to improve and churches even experienced growth. Today, “persecution” is not normally spoken of; instead Christians speak about a “tolerance” or “flexibility”. 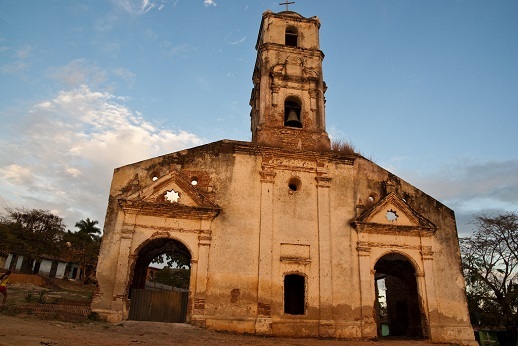 On the surface, Cuban Christians now appear to enjoy total religious freedom, but, very subtly, the government still maintains a certain control. A researcher for the charity Open Doors, which supports Christians under pressure for their faith, explained: “Although Cuba is not currently in the top 50 countries of the World Watch List [of countries where life is hardest for Christians] … the level of persecution of Christians has slightly increased in recent years. It has also evolved. A set of internal and external factors, the scope and impact of which are not yet visible, bear the potential for bringing about a certain degree of political change. Speaking to World Watch Monitor on the condition of anonymity, a group of Cuban church leaders said the type of “persecution” Christians face has changed. Cuba is changing. One pastor said the regime itself has acknowledged this and is taking measures to face up to the economic, social and political challenges. Unlike in the past, Christians today have better opportunities and permission to be involved in church work, but one pastor said the change has been very subtle. “Past experience has created an environment of suspicion, fear and mistrust. The government grants freedom, but without completely relinquishing control, and the monitoring intimidates and stifles Christians,” he said. Communication between churches and the government is more open than it used to be, but the leaders say the eyes of the government hover over every detail. Each congregation today can have an impact on society, said one pastor, but it is limited because officially they are not authorised to act in the way they would like. In fact, the pastor said churches are obliged to pretend their social efforts have been organised by the government or pro-governmental organisations. Since 2008, when Raúl Castro succeeded his brother, Fidel, the Cuban authorities have become more lenient, bringing changes to society as a whole. The Church itself has opened up, in part resulting from the visit of Pope John Paul II in 1998, which created a better relationship between the Catholic Church and the government, as the Pope asked the world to open itself to Cuba and vice versa. Many Catholic churches had been closed and many priests forced out of Cuba because they openly took a stance against the government. But as the relationship between the government and the Catholic Church began to improve, so too did the relationship between the government and Protestant churches. According to one pastor, this benefited the state, as the Church began to take responsibility for addressing social needs, which, as a consequence, made the people less likely to revolt. The pastor said that, even though the Church “has never done anything wrong”, the government fears everything that represents a threat to the communist system. He added that “the Church is the only organisation that brings people together without obligation”. As such, he said “the government tries to slander the most influential leaders and pastors in Cuba, creating negative opinions about them so that these people lose influence within their communities. It is one of the most common strategies that our government uses to prevent Christian leaders from being able to exert a much bigger influence”. The major challenge facing the Church in Cuba today relates to construction of churches. Churches face obstacles purchasing building materials, with growing churches thought to present a potential threat to government control. One example was in Havana in 2008/9, when work was halted on two churches that were being reconstructed. Only after conversations with civil servants, plus permits, fines and a series of negotiations were they authorised to complete the two constructions – in 2010 and 2015, respectively. Another issue relates to other properties owned by churches. In 2014, a law was introduced that allowed Cubans to own property for the first time, but churches have faced problems. Another pastor said the legal restrictions mean churches are almost obliged to break the law. In spite of all the restrictions that are placed on Church life, the pastors remain optimistic. “In Cuba, everything is difficult but nothing is impossible,” said one. The Cuban Church faces many challenges, but is also very resilient, entrepreneurial and outward-looking. It is actively engaged in reaching out to social needs, such as the display of solidarity among Cuban churches following the damage and humanitarian crisis caused by Hurricane Matthew during the first weeks of October. “As well as seeing the threats that we have, it is important to see the opportunities that we have, and for this we have to prepare ourselves as the Cuban Church,” said another pastor. “The Church can offer the most valuable thing it has: its people.